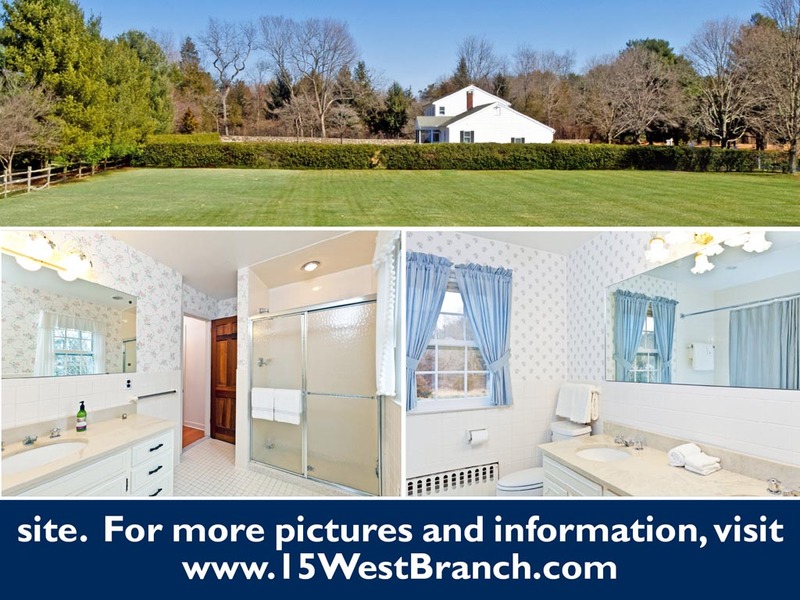 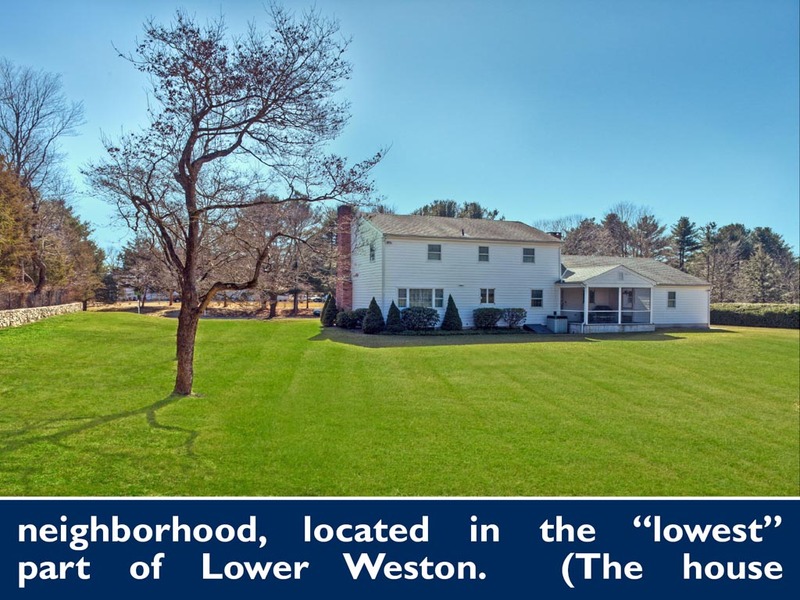 This property sits on two acres of perfectly flat and level land, in a luxury neighborhood, located in Lower Weston. 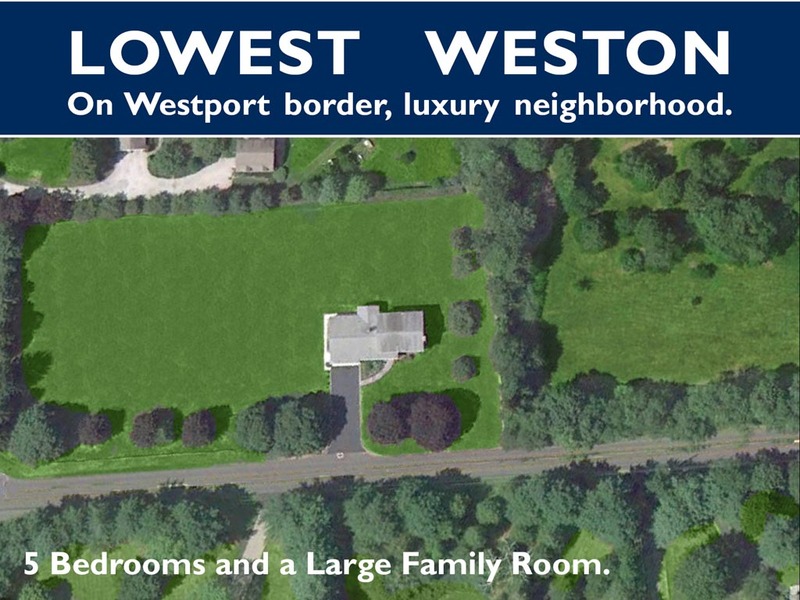 (The house across the street is literally in Westport.) 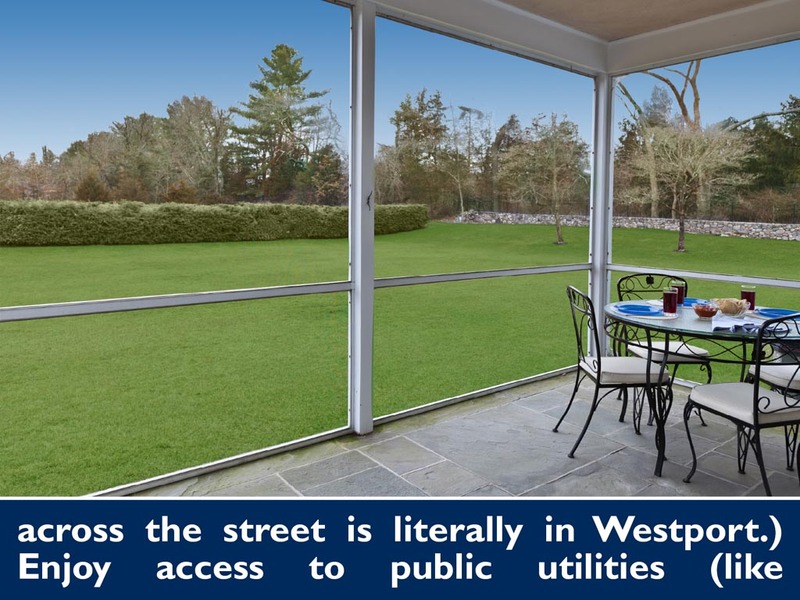 Enjoy access to public utilities (like Water and Natural Gas). 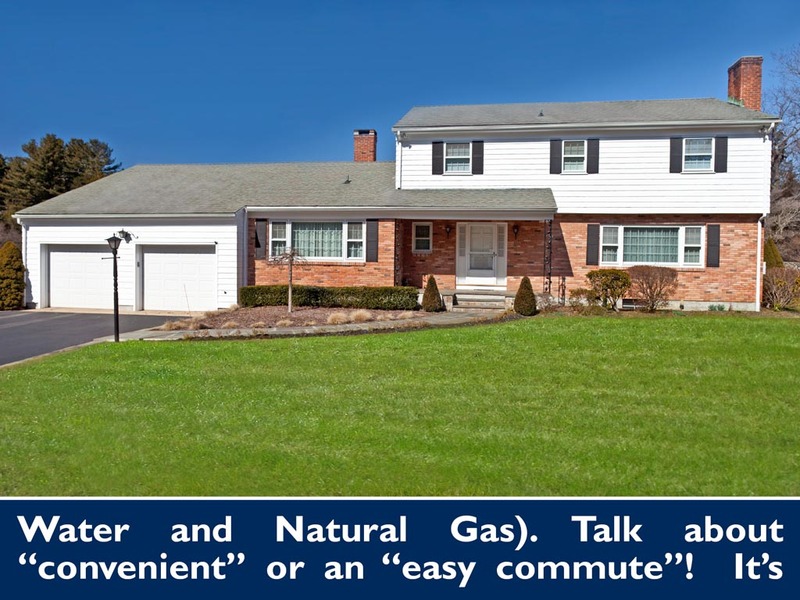 Talk about “convenient” or an “easy commute”! 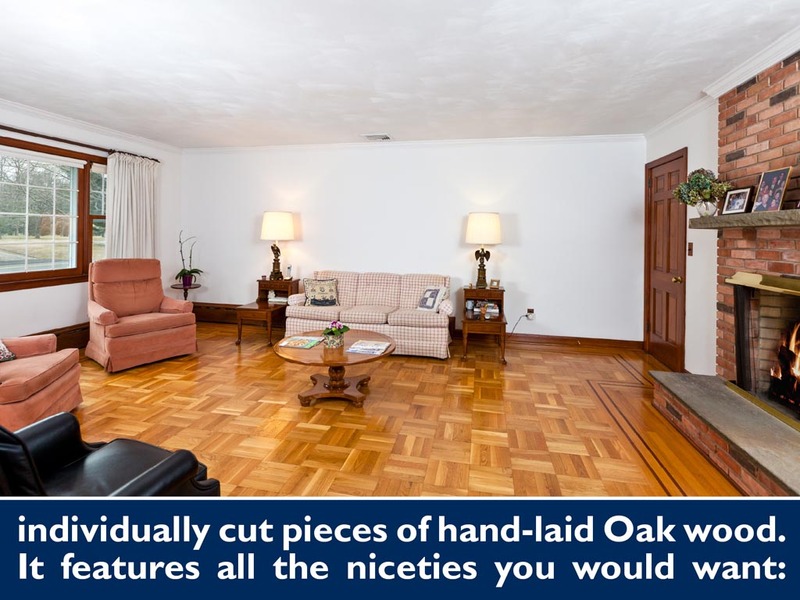 It’s less than a minute to the Merritt Parkway. 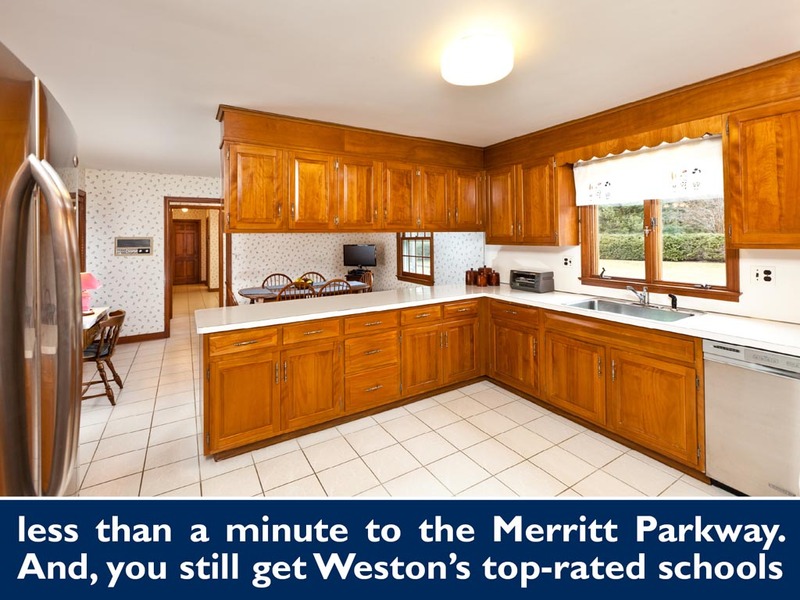 And, you still get Weston’s top-rated schools and rural but sophisticated lifestyle. 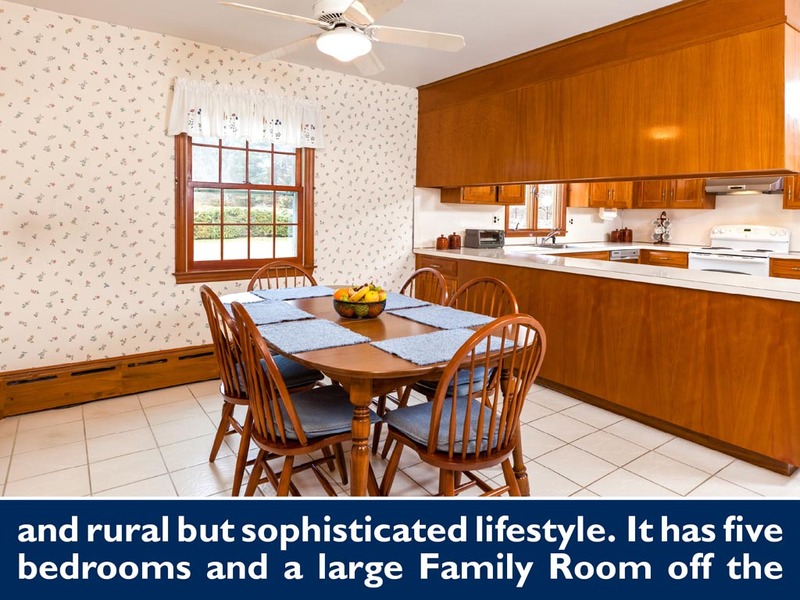 It has five bedrooms and a large Family Room off the Kitchen. 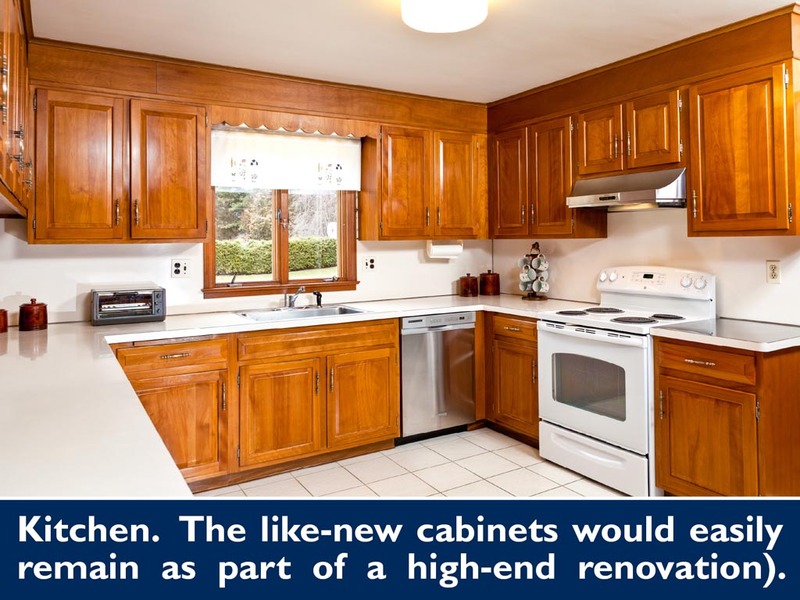 The like-new cabinets would easily remain as part of a high-end renovation). 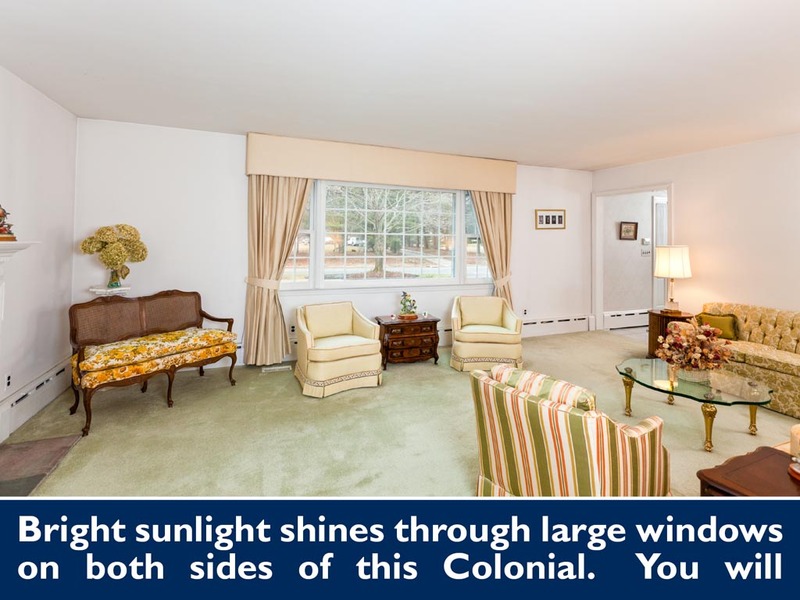 Bright sunlight shines through large windows on both sides of this Colonial. 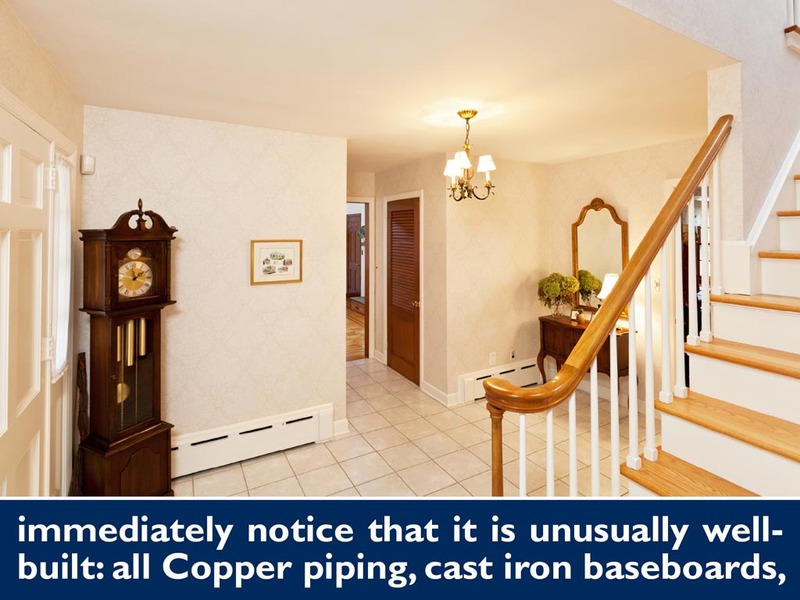 You will immediately notice that it is unusually well-built: all Copper piping, cast iron baseboards, central air conditioning, and solid panel doors. 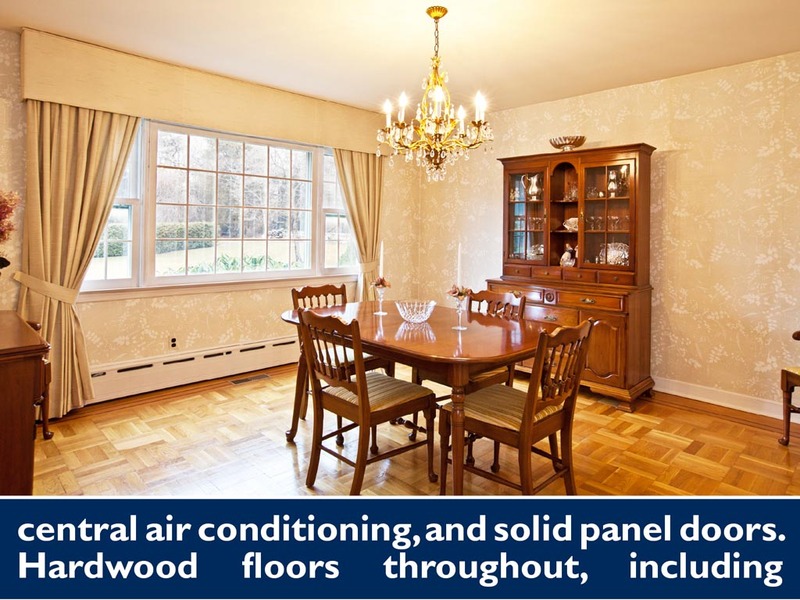 Hardwood floors throughout, including individually cut pieces of hand-laid Oak wood. 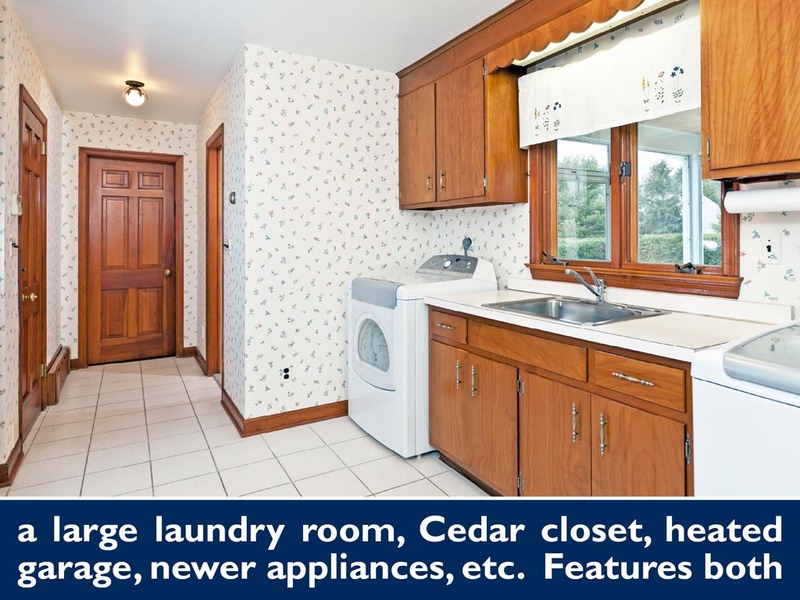 It features all the niceties you would want: a large laundry room, Cedar closet, heated garage, newer appliances, etc. 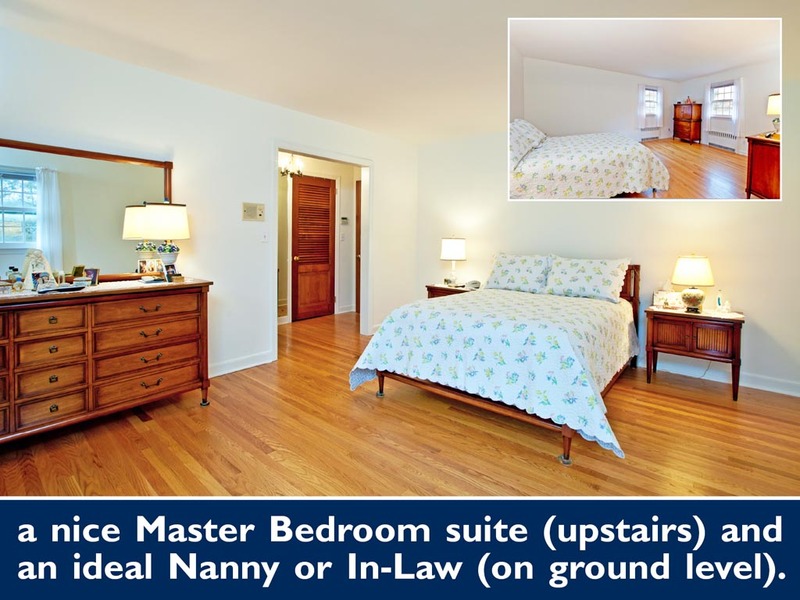 Features both a nice Master Bedroom suite (upstairs) and an ideal Nanny or In-Law (on ground level). 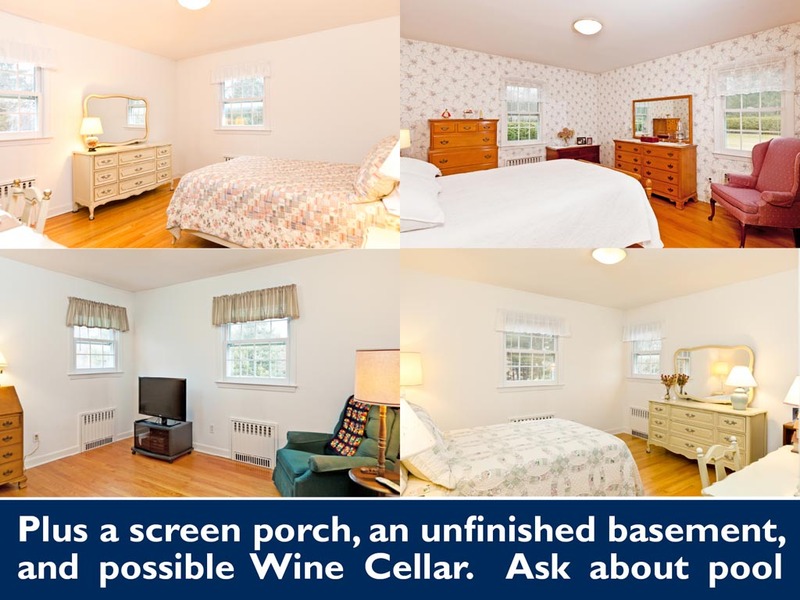 Plus a screen porch, an unfinished basement, and possible Wine Cellar. 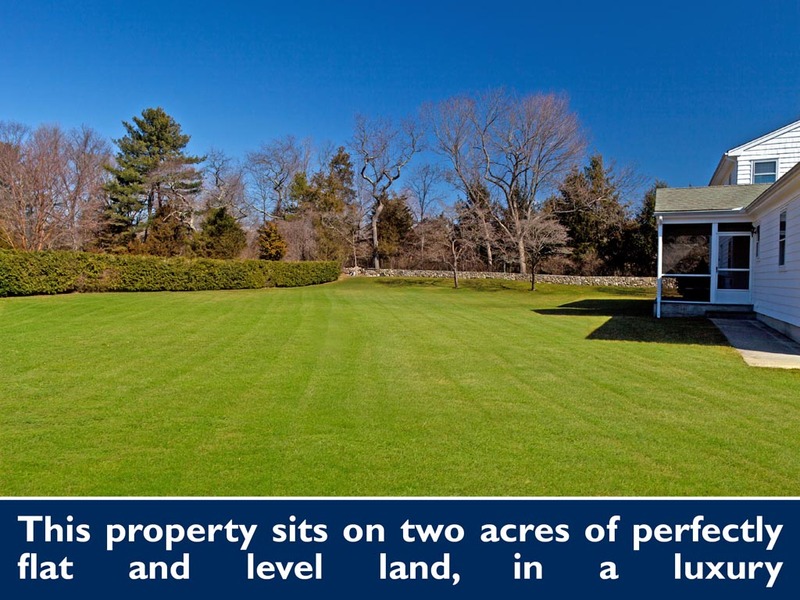 There is plenty of room for both a Pool and a Tennis Court.